For years, Selsun Blue’s specially formulated shampoos have succeeded in helping consumers overcome their dandruff problems, but now it seems as if the company’s success has gone straight to its head. 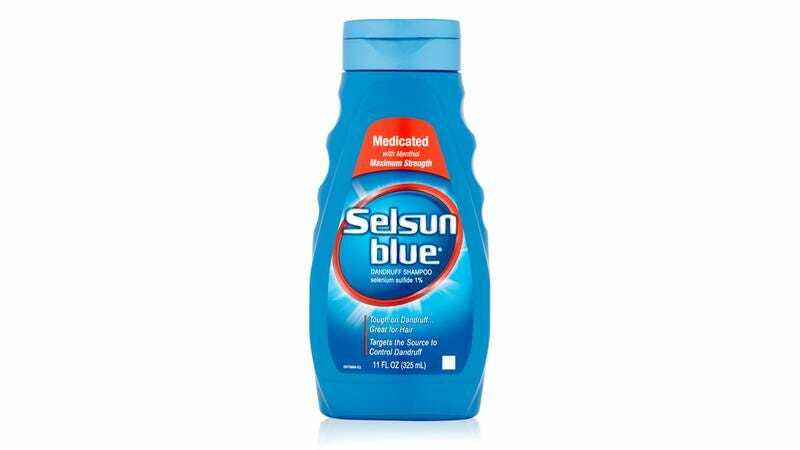 In a statement released this morning, Selsun Blue announced that, having now triumphed over dandruff, it is ready to go after cancer. Wow. Looks like Selsun Blue might be getting a little too full of itself here. The company explained that, while it plans to continue selling its shampoos in stores, virtually all of its research and development resources moving forward will be allocated toward eradicating cancer. Noting the skill with which the company has created new variations of its flagship product, such as its Itchy Dry Scalp and Deep Cleansing With Micro Beads formulas, Selsun Blue expressed borderline reckless confidence in its research team’s capacity to effectively cure cancer in all its forms despite having no relevant expertise beyond developing over-the-counter scalp-care treatments. Even more, Selsun Blue took to Twitter earlier today to throw some major shade at several prominent cancer research institutions, tagging them in a post with the caption, “Lots of great work done by these guys, but we’ll take it from here, thanks.” There’s just no two ways about it: Selsun Blue is absolutely certain it is going to cure cancer. Whether or not it does so is yet to be determined, but it’s probably safe to say that Selsun Blue is flying a little too close to the sun at the moment. And though you can’t knock it for its ambition, chances are that, barring the very slim possibility that it pulls off some kind of scientific miracle and follows through on its promise, the company will realize that it likely would’ve been better off just sticking to helping people with their dandruff problems.